Although over 90% of Mainland visitors said they will return to Hong Kong again within the next 12 months, with a 4% growth in planned spending for the next trip, travel appetites for Hong Kong are facing tough challenges, according to the latest Nielsen Annual Mainland Tourist Study. The research was conducted in August and September 2018, and the latest findings of the survey were based on online interviews of 1,106 mainland visitors from the Greater Bay Area as well as other key cities, aged between 18 and 65, who travelled to Hong Kong over the past 12 months. The report found that the number of Mainland tourists who visited Hong Kong in November 2018 surpassed the same period in 2017 with a 26% increase. The average time staying in Hong Kong of the Mainland tourists is 2.7 days. Among the top 10 locations worldwide which Chinese travellers express they would like to visit, Hong Kong is still top of the list (91%), followed by Macau (34%), and Japan (25%). Due to the recent launch of the Hong Kong-Zhuhai-Macau Bridge and the Guangzhou–Shenzhen–Hong Kong Express Rail Link, connections between Hong Kong and other Mainland cities have been strengthened. The report found this factor drives more Mainland visitors travelling to Hong Kong via coach or train compared to 2017. Michael Lee, managing director of Nielsen Hong Kong and Macau, pointed out that the ongoing Greater Bay Area initiatives and the convenience brought by the new gateway access to Hong Kong drove increasing number of short-stay tourists and infrequent travellers. And the influx momentum is expected to continue. The report also showed that each traveller spent HKD$21,000 per trip in Hong Kong; 3% growth from 2017. Shopping continues to be the main purpose behind trips, leading as the highest spend sector (45%), while accommodation, dining, and entertainment each contribute evenly on their overall expenses. In general, spending across all four sectors recorded positive uplifts. Cosmetics and fashion continued to be the most popular categories for Mainland tourists. But there is a downward trend of electronic products and handbags and leather goods. 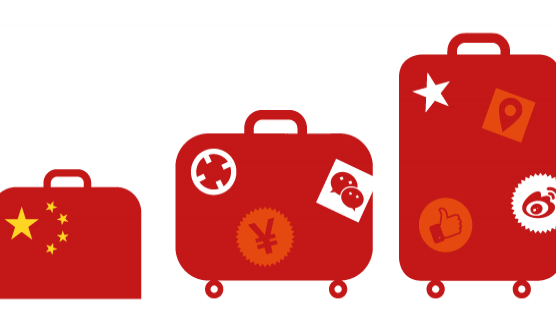 According to Nielsen, though spending power is seen increasing year-over-year, the travel appetite to visit Hong Kong is facing a tough challenge, as products are perceived to be similar between Hong Kong and other Mainland cities. In addition, cross-border online shopping has started showing its impact on Mainland visitors’ shopping behavior during their trips to Hong Kong. More claim their spending in the brick and mortar shops during their trip would be lowered as more products become available online. “An integrated omnichannel strategy can help Hong Kong retailers to address the change of traveler purchase behavior as they convert part of their purchase to online,” said Lee. Ahead of the first Niccolo Hotel’s opening at the International Finance Square (IFS) in Chengdu, Marco Polo Hotel Group has made a..